Dr. Mitchell S. McKinney, Office of the Provost, and Inya Baiye, J.D., Office of Inclusive Engagement, jointly administer FIEF. The Faculty Inclusive Excellence Fund (FIEF) is an initiative of the Division of Inclusion, Diversity & Equity (IDE) and the Office of the Provost. In line with IDE’s mission to integrate diversity in all its dimensions throughout the university, FIEF’s primary purpose is to provide incentive funding for colleges and departments to actively recruit, support and retain the most highly qualified and diverse pool of tenured and tenure-track faculty. While all applications for FIEF funding will be considered, tenured and tenure-track faculty have the highest priority. Faculty in professional programs with similar responsibilities as tenured or tenure-track faculty will also be prioritized. FIEF proposals may be submitted on a rolling basis; however, the FIEF Committee conducts a monthly review of applications during the academic year. Proposals will not be reviewed during university breaks or holidays. Units may use the university affirmative action plan to make a case for funding based on under representation. The Office of the Provost also maintains a comparative faculty demographics report by department which is available upon request. Mission-driven priorities ideally flow from the academic unit’s strategic plan or Inclusive Excellence plan, and will be documented in faculty meeting minutes or annual reports. Alternatively, a department or division should explain the specific ways in which diversity contributes to its teaching/research/service/economic development mission and how the skills and abilities of the candidate would further their diversity goals. The unit must obtain approval to search (and hire) from the provost/provost-designee prior to the request for FIEF funding. Approval for FIEF funding in no way alters the unit’s responsibilities to obtain permission to hire and to comply with the university’s hiring procedures. This is especially true when abridged hiring processes are used. Similarly, when the unit identifies more than one potential hire from a single job posting, the unit may make multiple FIEF requests provided the provost/provost designee approves the multiple hiring lines. To be eligible for new FIEF funding, the unit or department must have no outstanding progress reports due for faculty members who have already received FIEF funding. 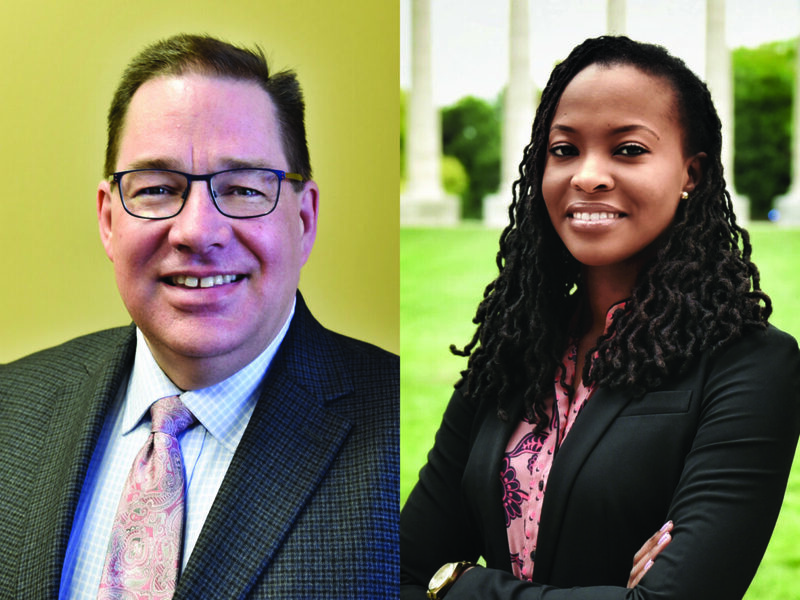 Deans or their designees may submit a proposal for FIEF funding after one or more suitable candidates have been included among the list of finalists. Proposals may be provisionally approved prior to on-campus interviews, but funding will be contingent on the successful hiring of the identified candidate(s). There is no financial commitment from the FIEF Committee until the committee provides the unit written notice that their proposal has been approved. Funds are only transferred when the faculty member has resumed their employment (i.e. after their start date). Additionally, the funds disbursed in the first year are actual expenses only, meaning if a faculty member starts after Sept. 1, the disbursed funds will be prorated. The following funding types are designed to address specific best practices in faculty recruitment and retention. Funding categories 1-5 are mutually exclusive and may not be combined into a single offer. Category 8 is a stand-alone provision and cannot be combined with any other category. Please note that salary awards do not automatically include benefits. In line with the university’s expectation that FIEF will attract and retain tenured or tenure-track faculty, categories 1-3 may only be used for tenured or tenure-track positions. 1. Permanent Salary Support. Provides no more than 50 percent of the starting salary (up to $50,000) for as long as the faculty member is employed in the department. 2. Established Scholar. Provides funding when a department has been successful in recruiting highly qualified established scholars from groups representative of current campus-level priorities (i.e. Black/African American, Hispanic/Latinx, Native American, STEM women) into applicant pools. In general, at a minimum, these scholars should have achieved the rank of associate professor at a comparable institution and may be hired with tenure or significant credit toward tenure. Additionally, this category may be used for eminent scholars who are nationally or internationally renowned for their significant contributions to their field. Transitional salary support: FIEF will provide up to 100 percent of the starting salary (up to $100,000) for the first three years of employment. Permanent salary support: FIEF will provide up with 50 percent of the starting salary (up to $50,000) after transitional salary support has ended for as long as the faculty member is on the tenure track in the department. The salary offer to an applicant is insufficient to complete the recruitment process and the department has not been awarded funding under other FIEF categories. An existing faculty member has received an offer from another institution that exceeds the resources available in the department to provide a successful counter-offer. An existing faculty member has articulated their intention to pursue other employment or informed the department that other institutions have attempted to recruit them, and the department cannot retain the faculty member without a salary increase. An existing faculty member has demonstrated through a formal process of review that there is a salary inequity in comparison to other faculty of similar (or lower) rank and/or record of accomplishment. Funding in this category is provided on a bridging basis only and will step-down by 20 percent each year for five years (in five equal steps). Variable amounts will be provided for up to three or more years. Funding will be awarded once per faculty member as a means to leverage unique opportunities to accomplish diversity-related hiring goals. This level of funding may require a match in funding (sequential or simultaneous) from the college or department. 5. Benefits. An award of salary does not automatically include benefits. Funding to cover the associated cost of benefits may be granted with “permanent” forms of funding but only to the extent that the maximum amount of salary funding ($50,000 or $100,000, as the case may be) has not been awarded. 6. Summer Salary. This form of support may be granted when a department is in need of funding to increase the quality of an offer or counter-offer. One month of summer salary will be provided for up to two years, or two months’ salary may be provided in one year (with match). A month’s salary may not exceed 1/9 of the base nine-month salary. A grant of summer salary requires a match in funding (sequential or simultaneous) from the college or department. 7. Research (Creative Achievement) Expense. This form of support may be granted when a department is in need of funding to increase the quality of an offer or counter-offer. Research expense may include various elements of a start-up package, including equipment, software, and other research/creative-related costs. It may not include salary. Variable amounts up to $7,500 per year will be provided for one or two years (not cumulative to $15,000 in a single year). A research expense award requires a match in funding (sequential or simultaneous) from the college or department. “Sequential match funding” refers to cases in which the department or college matches funding in subsequent fiscal years. “Simultaneous match funding” refers to cases in which the amount provided by FIEF is matched during the same fiscal year. 8. Hiring Incentive. Subject to the terms of policy HR-104, FIEF funds may be used as an up-front payment to a new faculty member when the university is competing for highly qualified candidates. As per the policy, approval by the Chancellor or designee is required, and requests may be submitted for sums of up to 1/2 the faculty member’s annual salary, payable in one or more installments. Payment will be conditioned on an agreement with the employee to forego or refund monies should the employee not remain at MU for an agreed-upon term (two to four years). The funding request should explain both the need for a hiring incentive and the amount being requested. Links to documents specifying the unit’s diversity priorities; and a brief paragraph about how the candidate fits the mission and priorities of the college/department with respect to inclusion, diversity and equity. Brief paragraph concerning specific efforts planned and/or in place to retain this individual once hired (including but not limited to mentoring). Provide details, including the names of designated mentors. FIEF’s primary purpose is to provide incentive funding for colleges and departments to actively recruit, support and retain the most highly qualified and diverse pool of tenured and tenure-track faculty. Therefore, for a department or college to continue receiving funding, it must demonstrate that the recipients of FIEF funding are being fully supported to maximize the likelihood of success in terms of both promotion and tenure, and retention. Our objective is to create a partnership for the retention of your faculty member with IDE and the Office of the Provost providing resources and assistance as needed. Department chairs are expected to submit the FIEF Faculty Progress Reports. However, the Dean may submit the report if there is no chair. For “permanently” funded positions (where FIEF funds are, generally speaking, committed for as long as the person is in the position), reports are due on June 1 of the first seven years of employment or until the faculty member is awarded tenure. For positions receiving funding for lesser periods (e.g., three years of bridge funding; five years of salary adjustment) reports are due on June 1 of every academic year in which funds are received. Continued FIEF funding is subject to the timely submission of progress reports. Additionally, departments will not be eligible for further FIEF funding if they did not provide a progress report for any funded faculty member by the last due date. Progress reports should be sent to the attention of Inya Baiye at muideinclusiveeng1@missouri.edu. The FIEF Faculty Progress Reports are an opportunity to offer clear-eyed and honest guidance and feedback to aid tenured or tenure-track colleagues in advancing their academic careers. This sort of guidance demonstrates a level of investment and support in FIEF-funded faculty that should increase our retention rates. Additionally, the expectations are the benchmarks against which assistant and associate professors can evaluate their own progress toward tenure and promotion. This section should specifically note the forms of support the department has offered to the faculty member in these three areas. C. The report should include an assessment of the department’s progress toward creating a welcoming and inclusive environment for diverse faculty members. The FIEF Committee will also provide an opportunity for the faculty member to reflect on support they have received in the department by contacting them directly and requesting that they submit their feedback directly to the FIEF Committee. While MyVITA annual evaluations can be a useful tool in writing the FIEF Faculty Progress Reports, they may not be submitted as a substitute for these reports. The FIEF Committee will review the reports and will follow up with necessary parties in the Provost’s Office or IDE if further action is necessary to retain the faculty member or ensure their progress. As a general rule, a FIEF grant is attached to a person. As is usually stated in the commitment email, the grant is only for so long as the person is employed in the department in that particular capacity (tenure stream, clinical, etc.). While there is no guarantee, funds may be allowed to follow the faculty member should they transfer departments or go from NTT to tenure track. In such a case, a new FIEF proposal would need to be submitted. We will not continue funding a person who moves from tenure track to NTT. Should the faculty member move out of their faculty role and into a primarily administrative position (and despite the fact that this represents a successful FIEF hire) funding will be terminated for the expected term of the administrative appointment, permanent or temporary, allowing IDE to reinvest the funds in our stated mission of increasing the diversity of the faculty. When the faculty member is no longer funded due to termination or disqualifying change of status, FIEF funds will be reclaimed from the department and returned to the funding pool.